The expansion of Intersport Roermond is successful. In a very short time frame, WSB Interior Construction pulled a shop design out of the magic hat that goes far beyond most standard shop interiors in the world of sports apparel. But still practical. The result is great! Renovation plans? 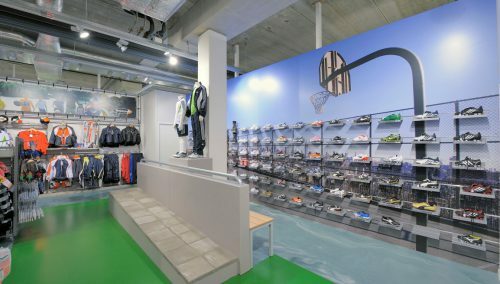 New store interior for your sports shop? Most of the sports shops in our country came up in the second half of the previous century. 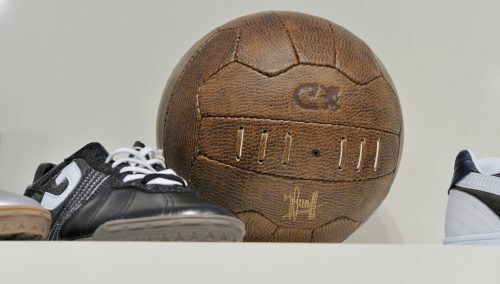 A handful of sports shops still in existence today dates from the first half of the twentieth century, which is a respectable age for a shop. But there is always someone who breaks the record. This year, Intersport Van den Bergh in Roermond celebrates its 150th anniversary. Granted, the family business in the Limburg town has not focused on manufacturing and sales of sports items immediately upon its inception in 1861. Still, it started in sports items at a very early stage, around the start of the previous century. 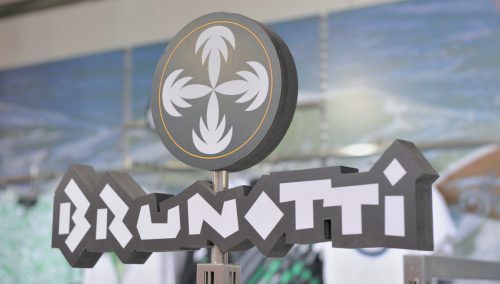 It is safe to say that this is one of the pioneers of Dutch sports retail. In spite of its very advanced age, Intersport Van den Bergh, is still a very healthy sports retail company with an excellent reputation in the wider Limburg area. Generating extra goodwill and extra traffic have been the key goals for many years. The reasons may appear slightly surprising. In the first place, because the goodwill of Intersport Van den Bergh among the Limburg population is not exactly a problem. If not, a regional company would never have reached its 150th anniversary. In the second place because in particular Van den Bergh’s Intersport Megastore has absolutely no worries about not having enough customers. In 2010 the sports mega-store at the Roermond Retail Park saw its sales increase by no less by one quarter, says Roy casually. That this highlight is still on “goodwill” and “traffic” is fully based on the certainty that no retailer can stand still and retain its position, according to Van den Bergh. Even if you do exist for one and a half century. Competition is strong and the consumer is too fickle to sit back and relax. This is why Roy feels that it is important to use every opportunity to promote your company. And that is something that Intersport Van den Bergh is fully committed to. And… renovation pays, as long as it is a commercial store design. The WSB retail designers know about the latest developments in sports & fashion. Would you like to know more? Then call WSB for a non-binding appointment.